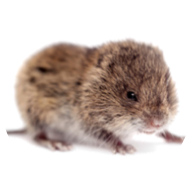 Often confused with moles, a vole is a small outdoor rodent, closely related to the mouse. They do not hibernate, breed prolifically and live in colonies underground. Natural foragers, when they take up residence in a yard, they can quickly destroy a prized lawn or landscape costing homeowners thousands of dollars. 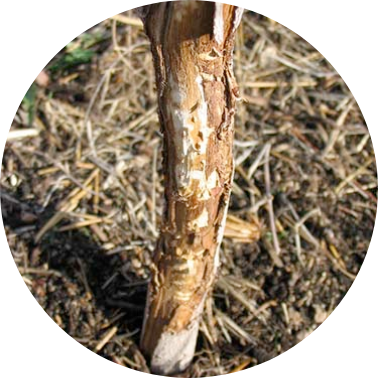 Weakened, unhealthy plants that are susceptible to disease may actually be a sign of vole activity. 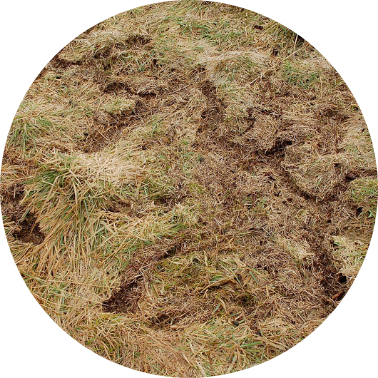 Oftentimes, their presence is not realized until spring when snow melts revealing runways in the grass or damage to the base of trees (girdling), or when well-loved perennials mysteriously fail to emerge. THE SOLUTION TO THE VOLE PROBLEM! 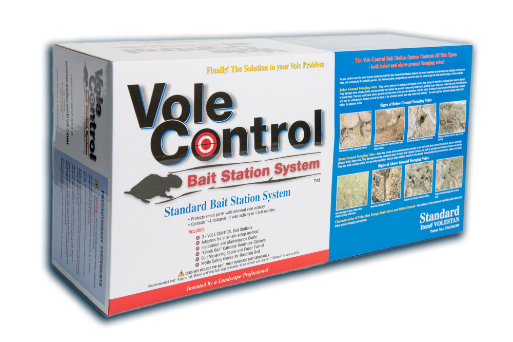 Since 2004, thousands of homeowners have taken back their yards with The Vole Control Bait Station System! 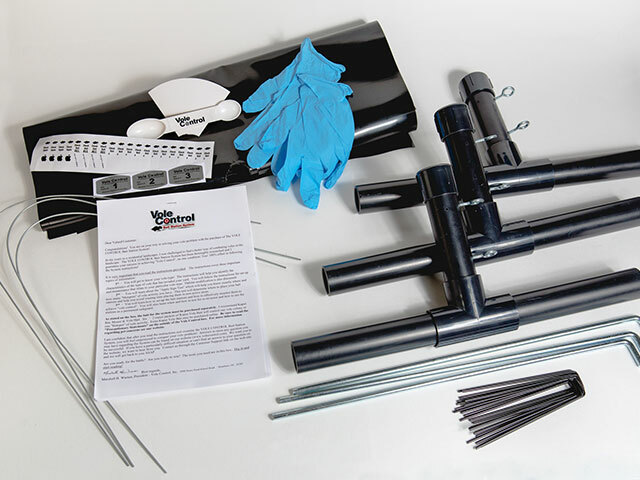 Developed by a landscape professional, it is a systematic and effective approach to control all vole types. 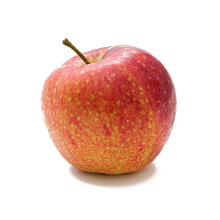 Skip the ineffective products and the expensive pest-control company and choose the product that does the job! WHY ARE THESE METHODS INEFFECTIVE? There are a variety of ways people have tried to get rid of voles, but each has flaws. Snap traps typically can’t keep up with the vole reproduction rate. You also have to deal with constantly removing dead voles. Repellents wash away with rain, making reapplication a constant process. Voles are unlikely to leave their home territory, but may move to a different part of your yard. Although there are many on the market, these are not proven effective in controlled university studies. 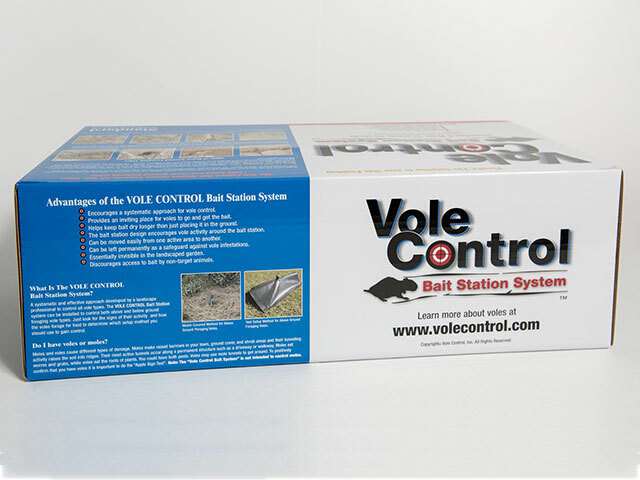 Unlike The Vole Control Bait Station System, other bait stations are designed for a variety of pests and not specifically for the behavior and activity of voles. 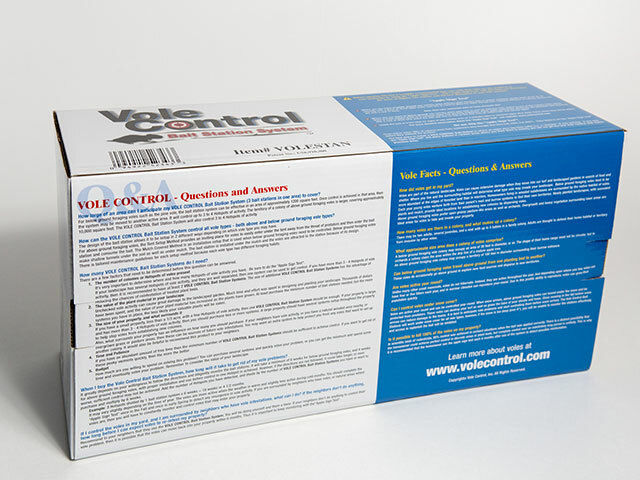 Our system kills the voles and allows you to monitor its effectiveness to assure eradication of the entire vole colony. 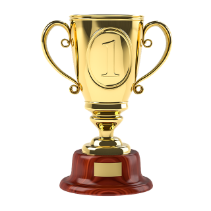 After control is achieved in one area of your yard, it can be moved to gain control in another area. Or, you can purchase larger size systems to gain control faster. 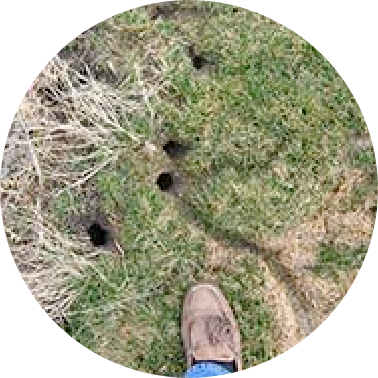 Its design encourages vole activity around the bait station, resulting in more consumption of bait. 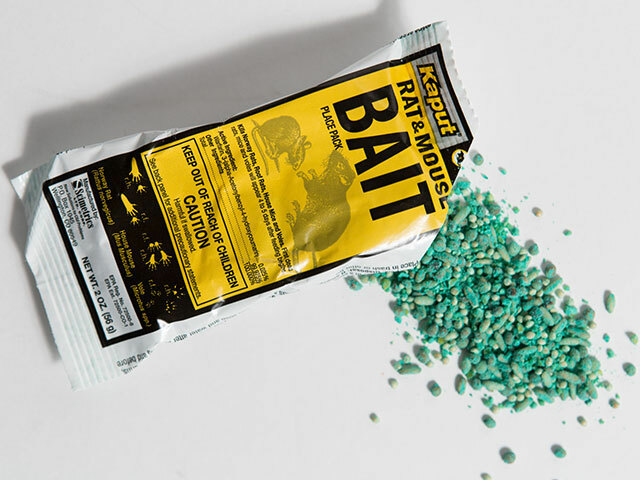 It keeps the bait dry and appealing for the voles and discourages non-target animals from getting the bait. Typically the voles die underground, so you don’t have to deal with dead vole bodies. A systematic method that conserves bait, does the job and has proven results. 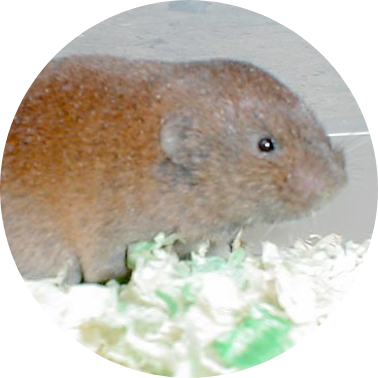 WHAT IS THE BEST VOLE POISON? 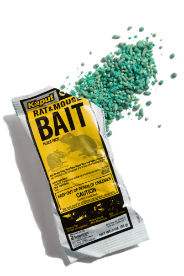 We recommend Kaput® Rat, Mouse, and Vole Bait for use with our system because it is labeled for vole control in all 50 states and is the least toxic to non-target animals. 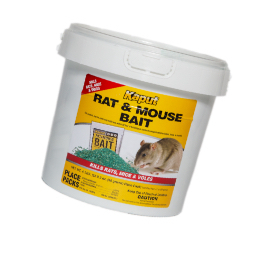 Its granular formulation is preferred by voles over pelleted baits and it contains an attractant. 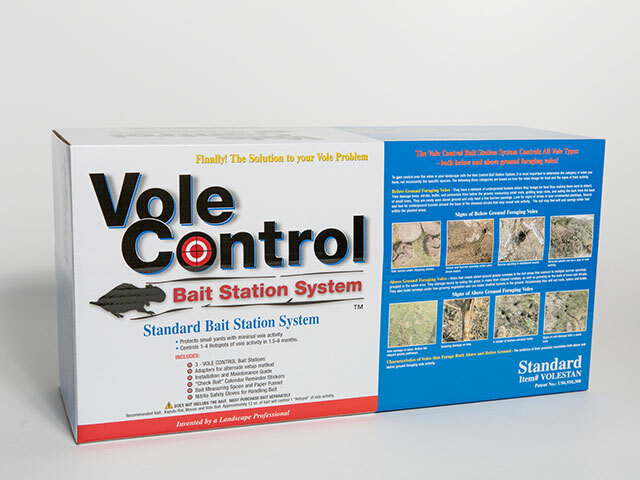 IT IS MOST EFFECTIVE in gaining control when used with The VOLE CONTROL Bait Station System.